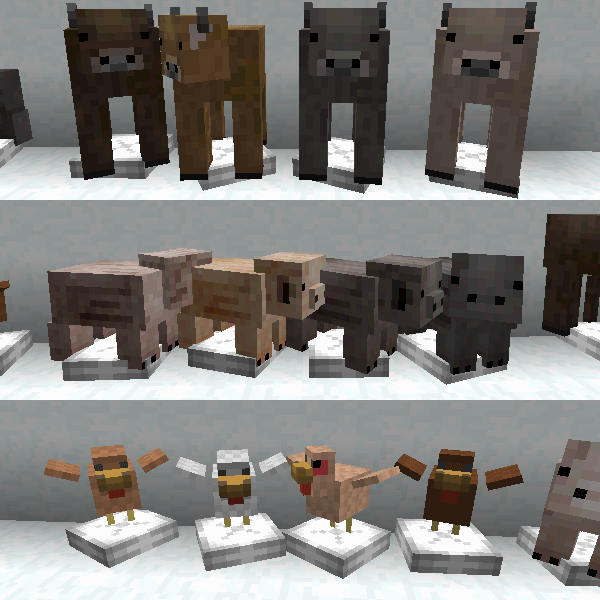 A default-style texture pack with animations. I'm not quite like this three blocks with flashing animation, but someone request for this so I made them. 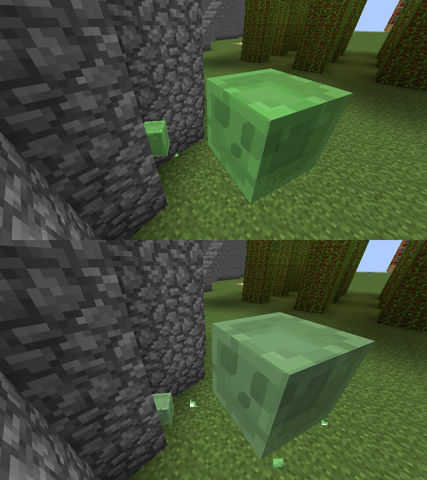 I made the Diamond & Emerald Ore block less gem dots to made it feel more rare, I guess. Yep the nether should like this. To made it more nature-style. Less dots to more transparency. Mojang should let us dye our bed I think. To made them not too bright green. Wooden planks style, more roughly handmade style. Yes, no window on it. Simple blacken iron & with bars. Wooden planks style, without peek holes. Edited a bit of the tone. De-tiled and lighter. This is what I wonder why Mojang don't fix it like this way. That's because I want it looks more nature-style. Tuned down the clothes' colour a bit. Pig & Cow's color tuned to be feral-style, eyes changed to dot-style, and made the chicken more chicken. The Zombie with grey skin. The Zombie Pigman became Nether Pigman, not zombie anymore. Looks like iron tools with blue at the edge of metal. 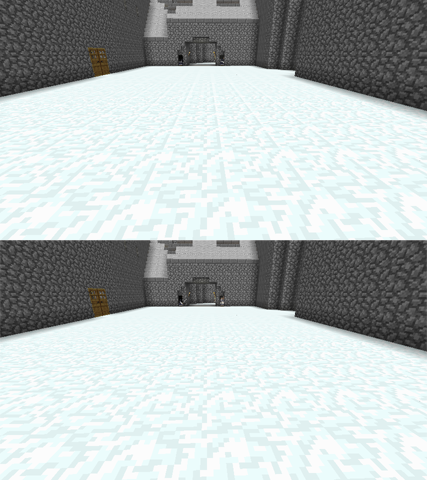 - most of the animations' framerate modified. 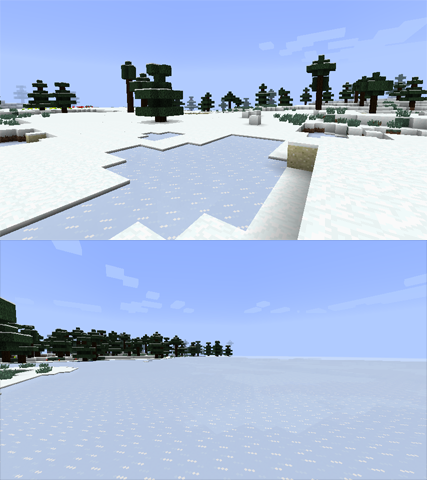 - (1.4.7 & before) Optifine, MCPatcher, or any mod which support animated textures. - put those 6 files in the "anim" folder of the texture pack and have a try. Holy! This is such a great idea! I love it! I will certainly download this, just not now (have to leave really soon) But this is amazing! I will try to spread this best as I can. Oh and this also made me realize that soul sand has faces on it. Keep up the great work! The Element Pack. 16x Minecraft Texture Pack. Not bad. I really like the glowstone it is very creative. I also like the redstone lamp an jack-o-lantern. A lot of the animations look good on their own, but look rather strange and off putting in mass quantities. Like I can't even go into the nether with this pack because of all the crazy animations. The soulsand makes me feel like I'm having a seizure. 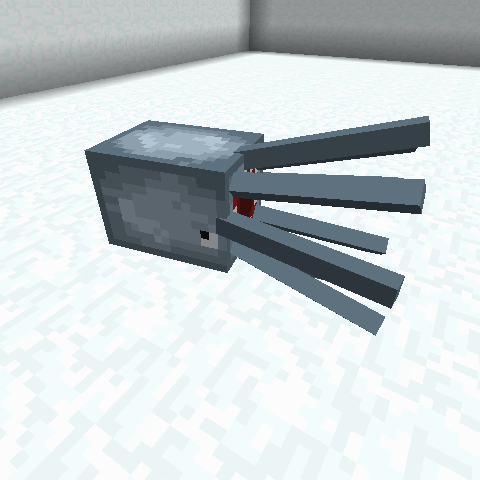 And the netherrack isn't a bad animation, but looks really weird in the Nether. It would probably be better if you slowed down the animation. Keep up the good work. Wow, awesome idea! But as the above said, the animations in the nether definately need slowed down. Soul sand is horrid to look at for any length of time. Hope you cover grass and wheat a bit, too! Oh thanks for the banner. This is a very nice idea, especially for people who regularly use the default anyway, this will definitely maintain the same feel, but the animations should really enhance the game... For the most part. That soul sand is really unappealing, it looks like it's having a seizure. And that netherrack looks really strange in numbers, like in the nether itself. 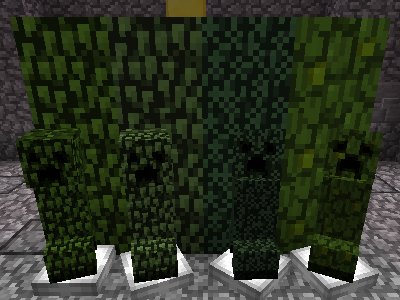 I wonder what animated leaves would look like when combined with the shaders mod. One thing about this type of pack is that it should be easy to update. This is some nice work, but as others have said, the soulsand could be better. Also what are you using to show mobs? I wonder how the soulsand bug making the game lag. I'm not doubt for it, just wonder what's wrong and how it's happened. As the pics you can see and what supra107 said, I use Zabuton Mod to stable the animals and mobs, force them sit still on the zabutons. 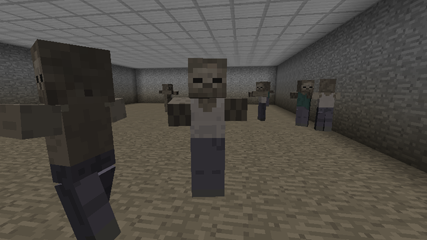 Too bad the Figure mod can't show mobs by Random Mobs and that mod still 1.2.5 at this moment. And thanks guys for your comments. 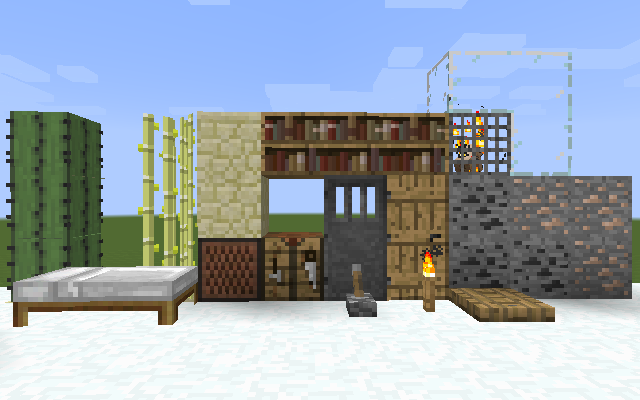 I love this texture pack by the way It is awesome, where did you get the idea? Downloading this just so that I can go in the nether with it. I will do the Tall Grass animation at the time when I make the transparent leaves. And also, made it for fun. EDIT: I don't know, but I don't like soulsand's texture and nether dirt texture.